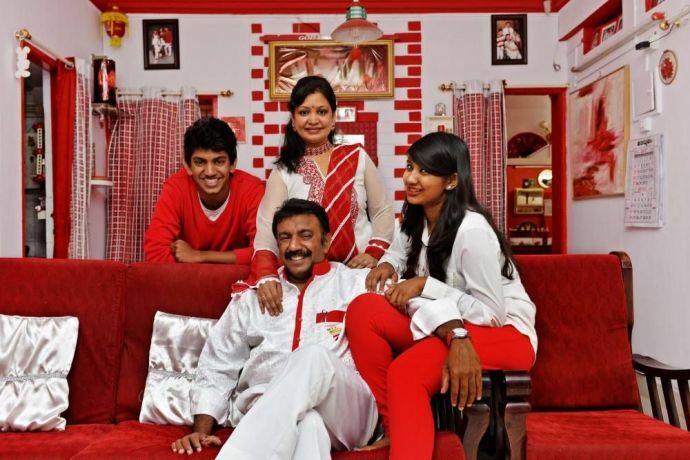 The Red And White Family: Meet Seven-raj And His Obsession Of Number 7! People have favorite colors but what if you surround yourself with that favorite color(s) all the time? 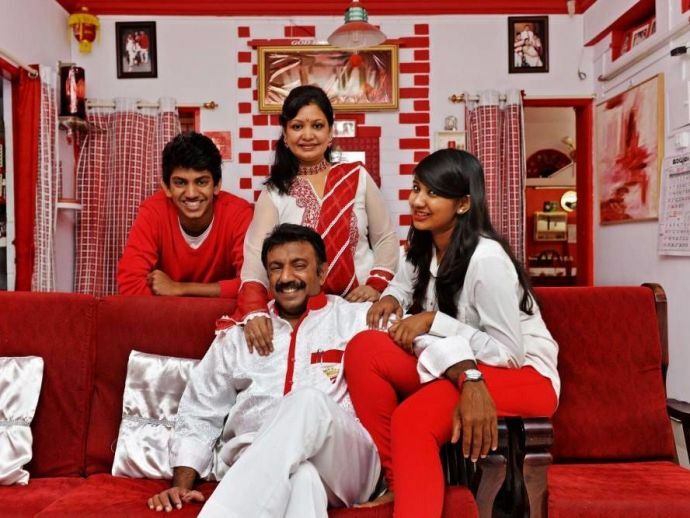 Here are some of the interesting tidbits about one such family who fancy everything around them to be in red and white! 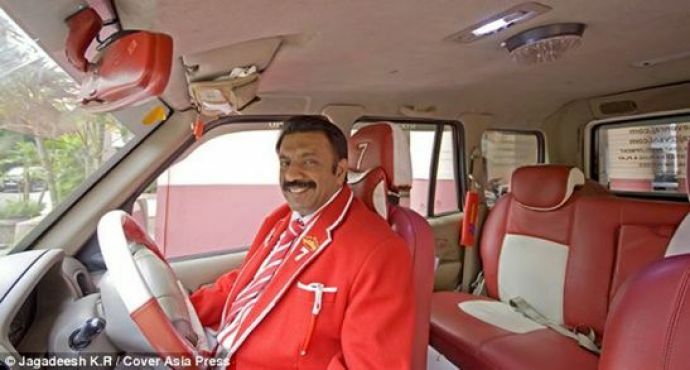 Indian real estate agent Sevenraj's father named him after the number seven, and since then, he has spent his life surrounding himself with the number. Since he was the seventh child in his family he was named Sevenraj. Now, he also knows 7 languages and always wears shirts with 7 button on it! Sevenraj believes that number 7 is very lucky for him and so his car numbers and mobile numbers too end with number 7. 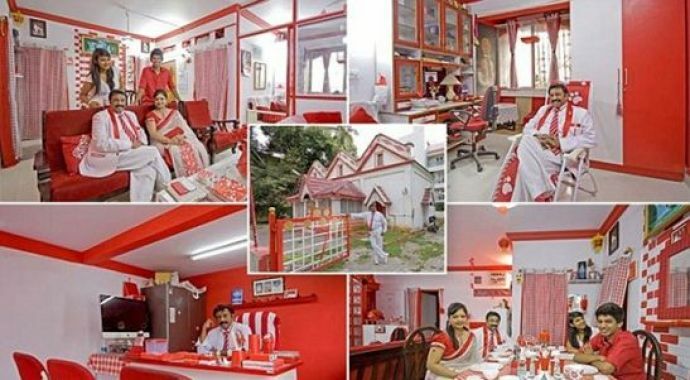 The More interesting fact about Sevenraj is that his family is known as Red and White Family in Bangalore because of their obsession with red and white. 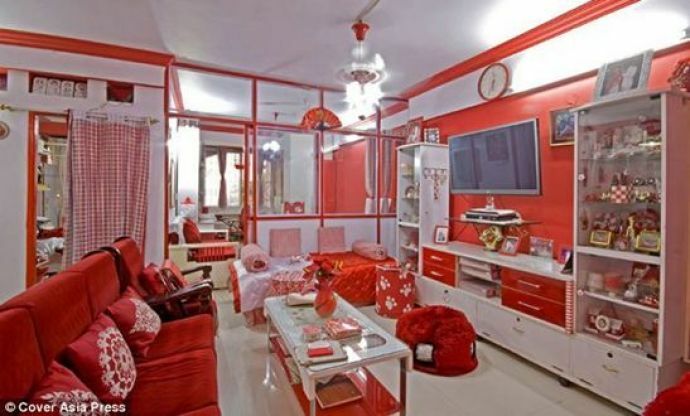 Every household item in their house and even the clothes are in red and white combination! He soon became obsessed with the colors red and white because of a marketing gimmick run by his company and the number 7 because of the uniqueness of his name. Far from being embarrassed by it, he enjoys the attention and his dream is to become even more recognizable! It’s like Christmas every year, every day for this red and white family!